Leopard lady joins the group. Inspired by the musical ~ “Cats”. 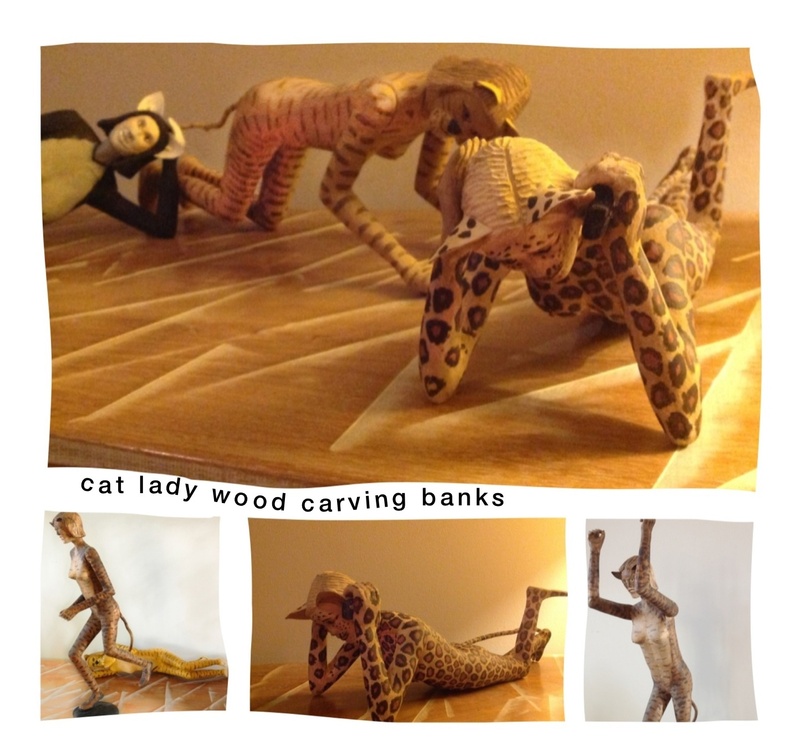 Wood carving banks by Don.